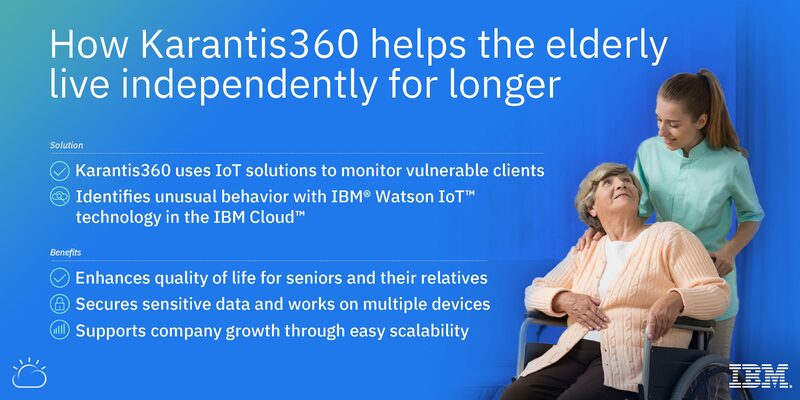 Karantis360 teamed up with IBM to migrate its existing mobile application to the IBM Cloud platform and to introduce new augmented intelligence (AI) and Internet of Things (IoT) capabilities. With Karantis360 solutions, elderly people can live independently for longer. Read more about this collaboration on IBM’s website.